Why the Prophet Daniel and The Fiery Furnace Is So Important for Christians. Have a look at this ancient wall painting of the prophet Daniel's companions in the fiery furnace. 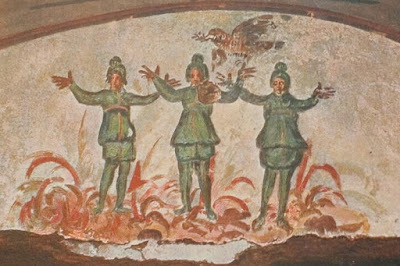 It is from the Roman catacombs and is one of the images that is included in the Catechism of the Catholic Church. Scripture tells us of the fate of Daniel's three friends (Daniel 3: 49, Knox translation). 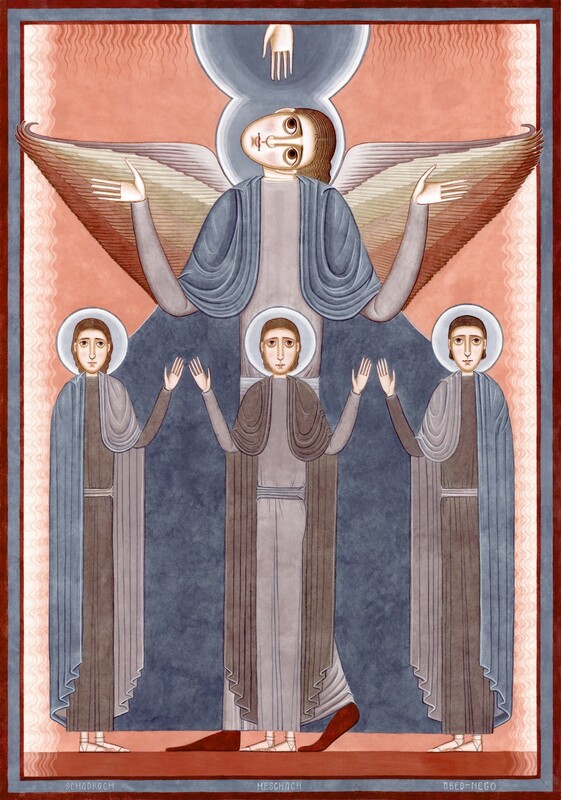 It says that an 'angel of the Lord had gone down into the furnace with Azarias and his companions and drove the flames away from it, making a wind blow in the heart of the furnace, like the wind that brings the dew. So that these three were untouched, and the fire brought them no discomfort. 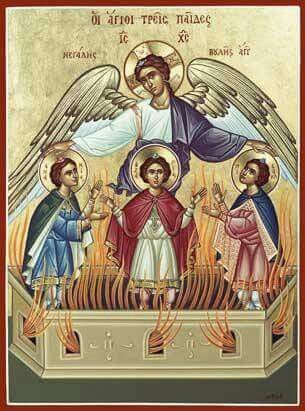 Whereupon all of them, as with one mouth, began to give praise and glory and blessing to God, there in the furnace.' Afterwards, the king who had thrown the youths into the fire, Nebuchnudnezah said he saw four figures, and the fourth was 'as it had been a son of God' (v92). I recently examined this passage in scripture because the song that the three subsequently sang is known as the Canticle of Daniel and is sung on Feast days at Lauds. I was looking at the background to this and considering why it is sung in the liturgy. My understanding is that in the interpretation of the Church Fathers, the reference to the wind and the dew in the scriptural account has been connected to the Creation story in which the Spirit of God was over the water, and then to the baptism of Christ in which the Holy Spirit comes down and the sacrament of baptism is initiated. Baptism is, through water, the instrument of the death of the old self spiritually so that we can be resurrected, also spiritually, in Confirmation or Chrismation by the action of the Holy Spirit. There is a similar connection to the passages describing the crossing of the Red Sea and the crossing of the Jordan by Joshua, in which the water and wind are connected. Wind is the action of the Spirit, as is fire (as at Pentecost which the Church Fathers also connected to the burning bush). These common themes are the reason why traditionally in baptistries we would see portrayals of all these scenes, as described here. So who is the fourth figure? Some Church Fathers identified the figure as a pre-incarnational appearance of Christ, as in the tale of the three figures in the Hospitality of Abraham in Genesis, and the voice in the Burning Bush speaking to Moses. So in this icon, this is made explicit by the artist. 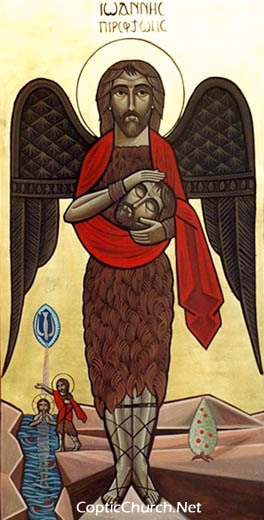 The 'IC XC' and the cross in the icon tell us that this is Christ. The painting in the catacomb we referred to initially seems not to show either of these. Rather, he appears not to be showing the fourth figure at all, but is giving us something else, It is a bird. The branch in the beak of the bird suggests to me that the artists is connecting it to the dove in the story of Noah. This story of Old Testament redemption is connected to the new through that image of the dove, who appears at the Baptism of the Lord. This is an event, of course, that opens the way for our salvation. This New Testament resurrection in the spirit is available to all men through the Church, right now in this life, and is every bit as miraculous and wonderful as the saving of the three youths. We are partaking of the divine nature and the living out of the sacramental life of the Church which opens the way to a life of the greatest joy, if only we could believe it. The artist is connecting all of these events together through this painting, and it is why, I suggest, it would be appropriate for a baptistry in order to help deepen our faith. There is something else that occurs to me. My understanding is that bodily resurrection is referred to by Peter as a process of purification by fire, in so doing he is echoing Wisdom 3 and Malachi 3. Again this is a purification by the Spirit. This same passage in Malachi is the one quoted directly to also in Matthew 11.10. 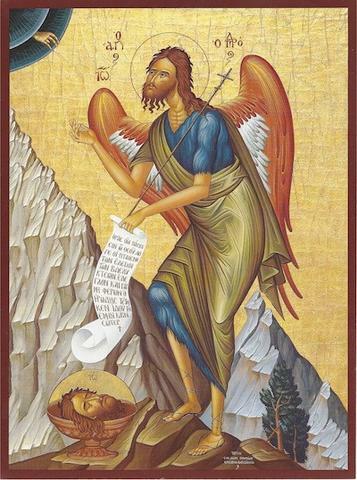 In this Matthew tells us that John the Baptist is this messenger (angelos) who shows us the Christ. So the angel of the Lord in the furnace of Daniel could be conceived also, I suggest, as a type for John the Baptist. Regardless of the precise aspect of the theology that each artist has decided to portray, the full story that they reveal really should give us cause to praise God daily, just as the youths did, and sing their canticle in the Liturgy of the Hours! 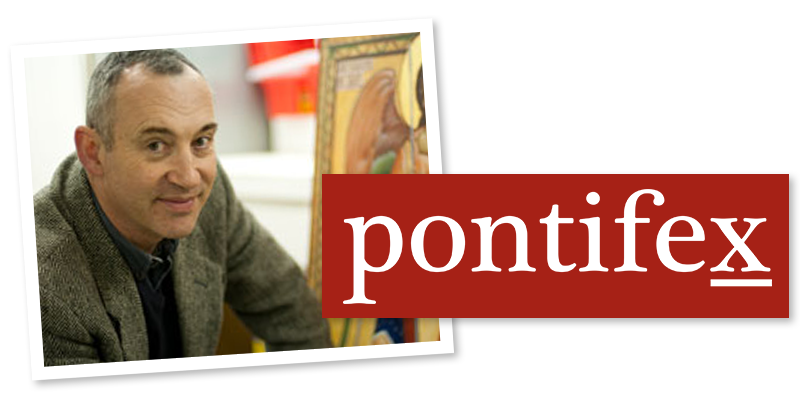 The Psalms in Words, Images and Prayer is an elective course for the Master's in Sacred Arts, offered by Pontifex University, www.Pontifex.University.